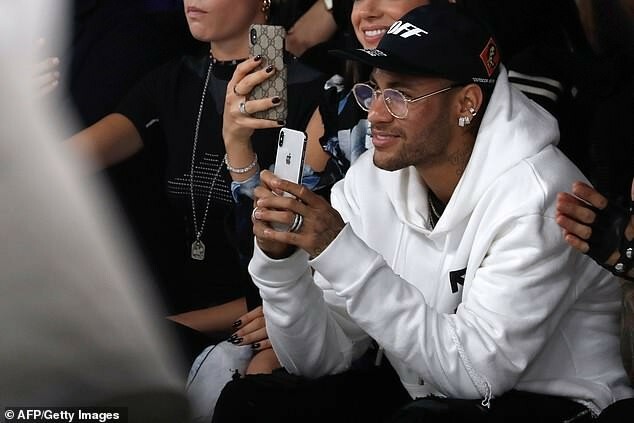 Brazilian star and Paris Saint-Germain’s forward, Neymar took a break from football to attend the Paris Fashion Week with his glamorous girlfriend, Bruna Marquezine on Thursday. The pair sat alongside his teammate, Dani Alves, and model, Cara Delevingne at the Off-White Spring-Summer 2019 show. The stars also posed for photos with supermodel Alessandra Ambrosio.